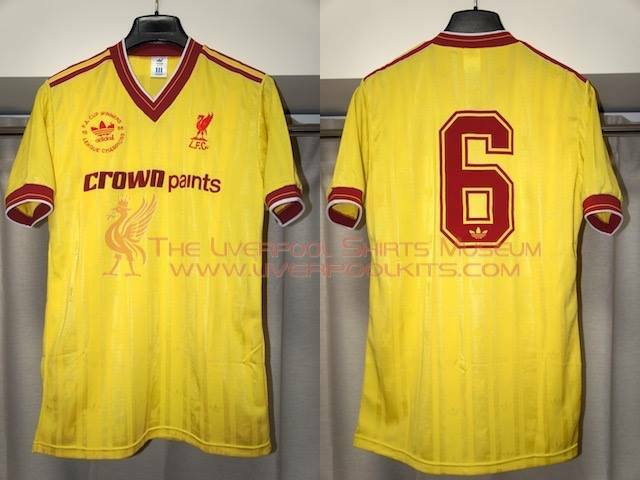 Liverpool released a yellow third shirt in year 1985 and it was only briefly worn in the two seasons 1985-1986 and 1986-1987. The spsonor logo was written on one line at first but it changed in the second season, written on two lines so it became larger (and easier to see on a TV screen). 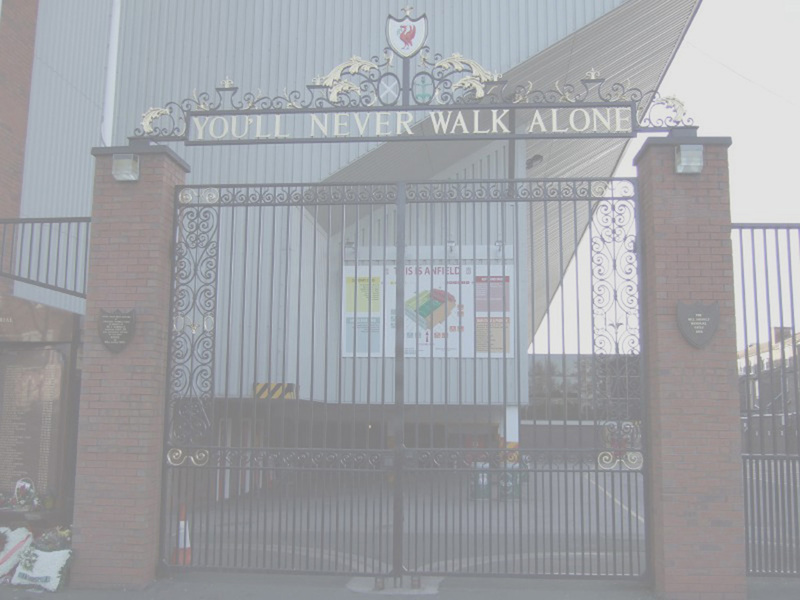 The Crown Paints did not feature on a single line past the end of the season 1985-1986 season, at the time of the 1986 FA Cup Final. However, this yellow shirt was produced for 1986-1987 season, the season after the Cup Final. 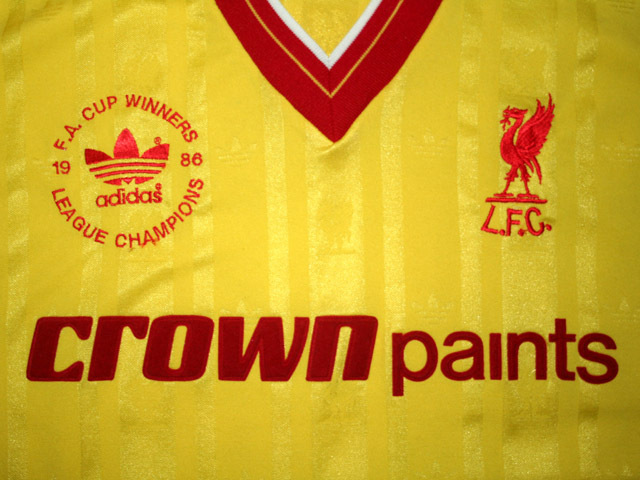 Hence, this shirt must of been produced immediately after the Cup Final of 1986 and just prior to the decision to place the Crownpaints logo on two lines for the following 1986-1987 season. Liverpool 1986-1987 Third Double Winners Player Shirt As usual, Liverpool player shirts under the Adidas era in the 1980s are characterized by embroidered Adidas motif and Liverbird crest. This single-lined Crownpaints version was never worn by the club and thus it is only a plain player shirt.